Accurately identifying the source and cause of memory access errors can be frustrating and time-consuming. 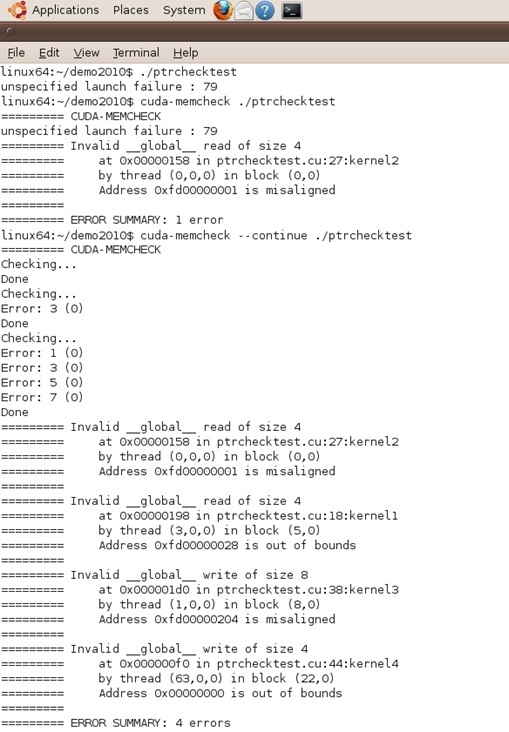 CUDA-MEMCHECK detects these errors in your GPU code and allows you to locate them quickly. CUDA-MEMCHECK also reports runtime execution errors, identifying situations that could otherwise result in an “unspecified launch failure” error when your application is running. Running CUDA-MEMCHECK on your application is easy; simply pass your application’s name as a parameter to CUDA-MEMCHECK on the command line. CUDA-MEMCHECK can also be enabled within CUDA-GDB while debugging your CUDA applications. 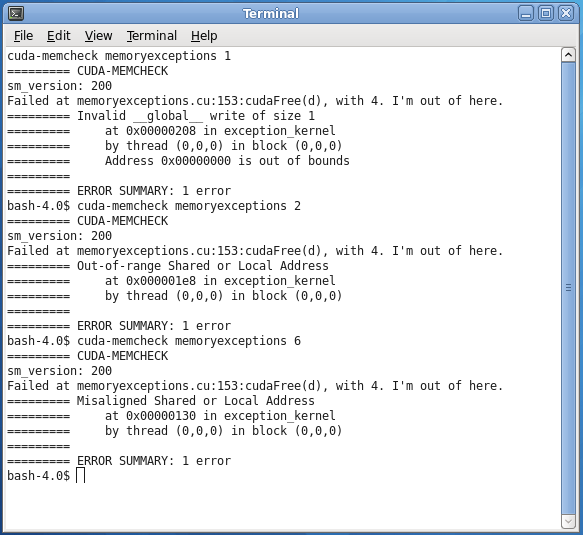 On Linux and Mac, cuda-memcheck will start printing error messages before the application terminates. The latest version of CUDA-MEMCHECK with support for CUDA C and CUDA C++ applications is available with the CUDA Toolkit and is supported on all platforms supported by the CUDA Toolkit.